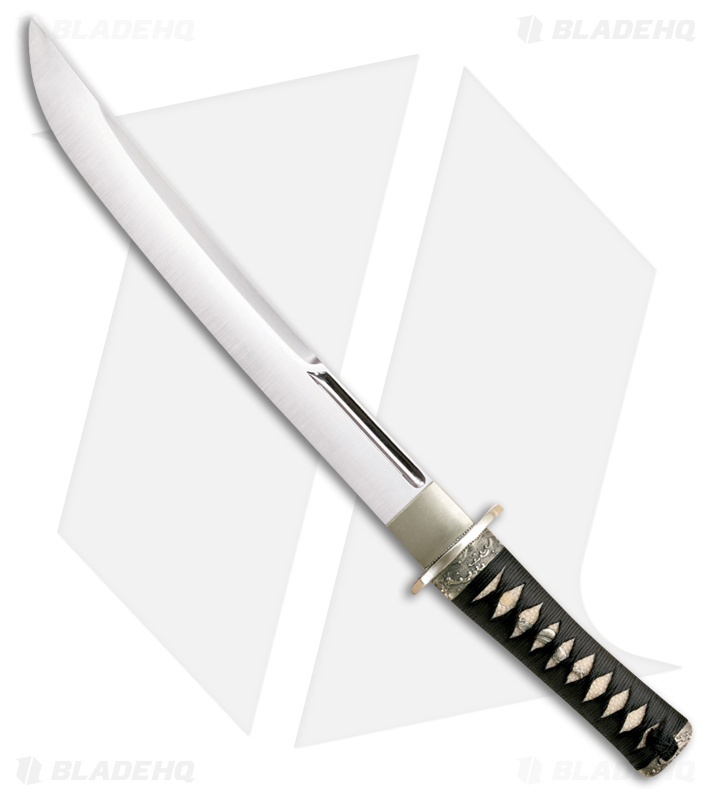 This Cold Steel O Tanto Imperial Sword offers a historic Japanese design for collection and display. Rayskin handle with classic black braid cord wrapping and brass Tsuba. Carbon steel blade with a sharp edge and a mirror polished finish. 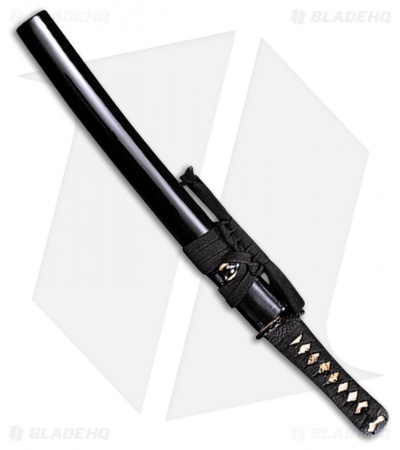 Black wood scabbard provides a safe storage option.